Vince Houghton, a museum historian, will discuss the most recent Star Wars installment, “The Last Jedi,” at the International Spy Museum this weekend. Entertainment from pop-culture icons past and present can be found around the District this weekend. Start off the weekend exploring the latest Star Wars installment before going back in time at a stand-up comedy show starring a grown-up child actor. May the Fourth be with you. This Friday, a historian from the International Spy Museum will connect Star Wars with espionage in honor of the film series’ punny holiday. Vince Houghton, a museum historian, will dissect the most recent installment, “The Last Jedi,” with analysis of the secrecy and covert operations in the saga. Arrive early to snap photos with your favorite characters in costume. With a Han Solo film being released this month, it’s the perfect time to consider a fresh take on the series. The lecture might even convince you Star Wars is a spy series rather than a sci-fi epic. 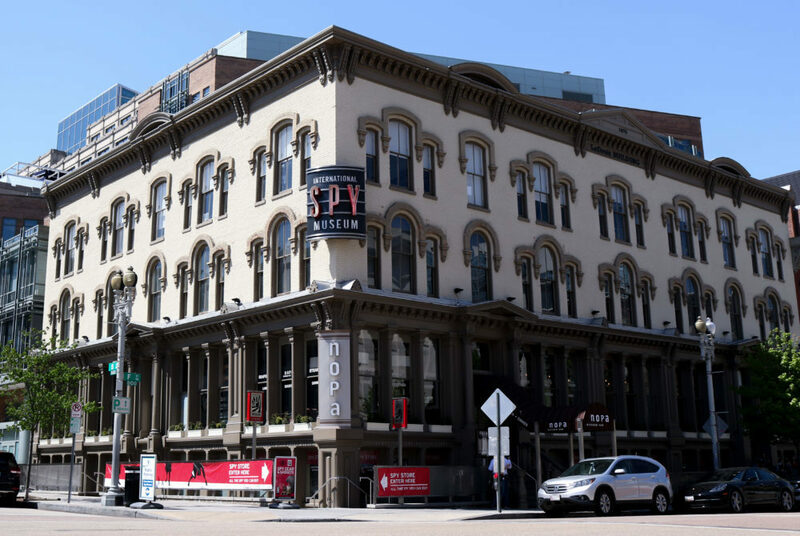 International Spy Museum, 800 F St. NW. 6:30 to 9 p.m. $15. Put drinking on hold for a while and celebrate Cinco de Mayo by cheering on adorable dogs in a running race. The Wharf’s annual Running of the Chihuahuas festival features food, drinks, live music and the main entertainment – a race with more than 90 chihuahuas competing. Proceeds from the race go toward Rural Dog Rescue, a D.C. nonprofit that saves dogs from high-kill shelters. After the dramatic event, cool down with an ice-cold Corona, courtesy of the Union Stage basement beer garden, or pick up a bite to eat at the surrounding vendors. With activities for everyone, including mini golf, a photo booth and a dog costume contest, you don’t have to have a dog competing to enjoy the competition and other events throughout the day. District Pier, 101 District Square SW. 1 to 5 p.m. Free. Don’t miss actor Dustin Diamond, best known for his role as Screech on “Saved by the Bell,” perform a comedy set at The DC Comedy Loft, located on the upper level of the Bier Baron Tavern. For Diamond, it’s been a while since Bayside High – but he has more recently appeared on reality TV shows like “Celebrity Fit Club” and “Big Brother.” His comedy has matured from his sitcom days, and now die-hard fans of the popular TV show are sure to get a kick out of his stand-up routine. Attendees can fill themselves up on the Bier Baron’s draft list ($6 to $14) and split a bar basket of fried pickles, mozzarella sticks and fries ($9) while laughing along at this ’90s throwback show. The DC Comedy Loft at the Bier Baron Tavern, 1523 22nd St. NW. 6 to 9 p.m. $15.